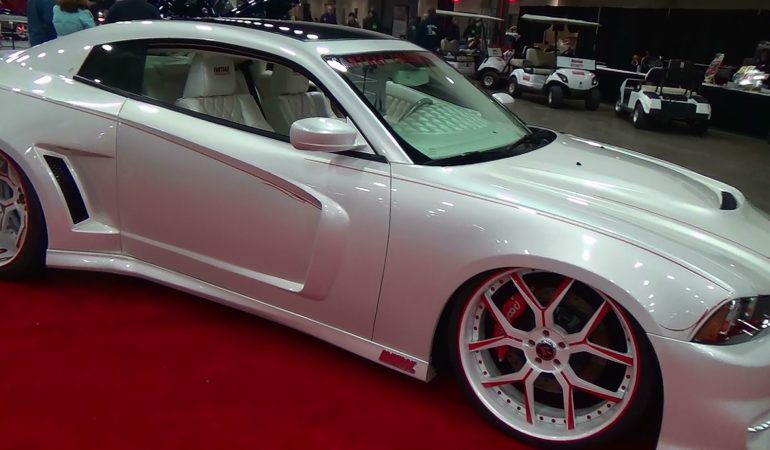 Fully custom 2013 Dodge Charger is insanely customized in a pearl white with red highlights. You may love this one or hate this one but you have to admire how cherry it is and what a nice custom job was done on everything. The whole roof looks like it was converted to glass and there is custom white cross stitching in the interior not to mention the red pin stripes. Can a car this new truly be a muscle car?